At the foot of the Bernese High Alps lies a paradise waiting to be discovered: Tropenhaus Frutigen, the production site of Oona, the pure Swiss Alpine caviar. The mountain water, the fish farming and the tropical garden – a harmonious trio under one roof with three times the appeal, along with an innovative energy concept. The tropical atmosphere, fish farming and alpine setting form a unique combination worldwide. For example, it relies upon closed, resource-efficient material cycles and renewable energies. It reminds us that where it stands today once stood a tropical climate: 250 to 300 million years ago dinosaurs also lived here among the fish: the sturgeons that are bred in Tropenhaus Frutigen. Where did the idea come from to breed sturgeon and produce caviar in Frutigen? When the NEAT base tunnel was constructed, the question arose of what was to be done with the 50 litres of crystal clear water that flow unrestrictedly out of the northern side of the tunnel in Frutigen every second. Diverting the 18-degree water directly into the waters would have caused a threat to the fish living there, in particular the lake trout. Instead of cooling the tunnel water down, which would be costly and use resources unnecessarily, the heat in Tropenhaus Frutigen can be used in a meaningful and sustainable manner: Tropenhaus breeds fish and cultivates plants that grow and flourish thanks to the necessary heat. The new permanent exhibition at Tropenhaus Frutigen takes young and old visitors on a surprising journey of discovery. 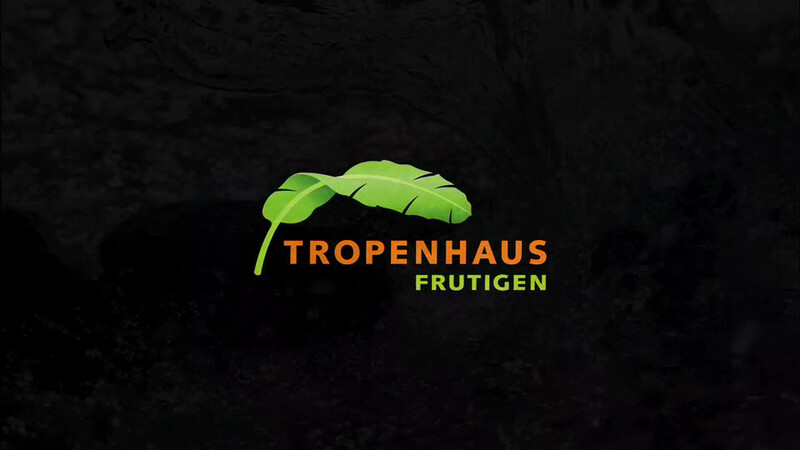 In five distinct areas, they delve into the themes of water, sturgeon, caviar, pleasure and energy, closely aligned with the activities and the philosophy of Tropenhaus Frutigen: an overall interactive experience full of sensory and virtual fun elements. Tropenhaus Frutigen harvests two tonnes of exotic fruit, plants and spices every year from its greenhouses: from pineapples to dwarf bananas, they are only picked once they have fully ripened. Tropenhaus Frutigen places particular importance on sharing knowledge and experiences. Those who wish can be guided through the exhibition using an audio guide or can learn more about coffee, bananas and orchids along the themed trails in the garden. Simply select your favourites from the tour programme and we’ll take you on an exciting journey of discovery. Tropenhaus gastronomy is inspired on a daily basis by the high-quality products from fish and caviar farming and the abundance of fruits and spices from the tropical garden. They are the stars that the kitchen chefs passionately combine with seasonal – usually regional – products. The special atmosphere in the restaurant amidst the tropical plants is captivating, as is the cuisine – mouth-watering delicacies that make visitors feel as though they are actually in the tropics.